Brazilian Disco Boogie Sounds, is a compilation that brings together nine of the most important and obscure hits of the Brazilian Funk-Boogie-Disco scene during the years of 1978 to 1982. Jùnior Santos is a Carioca drummer since his 15 years old, and is today a respected vinyl collector and music researcher. Favorite Recordings’ initiative of seeking a unique project with Brazilian music carried Jùnior on to dig into old record companies’ files and bring out pearls from what he sees as the end of the Samba-Rock period. At that time musicians and arrangers such as Lincoln Olivetti, Robson Jorge, and Oberdan Magalhães along with Banda Black Rio, were responsible for the new music scene. 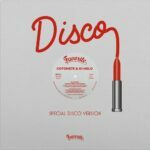 Brazilian Disco Boogie Sounds pays tribute to this great era, coming out in a deluxe vinyl edition with old-school tip-on jacket and innersleeve including notes and original artworks. Brazilian Disco Boogie Sounds, is a compilation that brings together nine of the most important and obscure hits of the Brazilian Funk-Boogie-Disco scene during the years of 1978 to 1982. 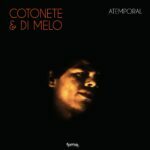 Favorite Recordings’ initiatives of seeking a unique project with Brazilian music carried me on to dig into old record companies’ files and bring out pearls from what I see as the end of the Samba-Rock period. At that time, musicians and arrangers such as Lincoln Olivetti, Robson Jorge, and Oberdan Magalhães along with Banda Black Rio, were responsible for the new music scene. They had dominated the studios with sophisticated and original arrangements that have forever transformed Brazilian musical perspective. This music, at that point, had gained a new style and great world respect that has remained till the contemporary times. Inspired by the influence of Lincoln Olivetti, I selected the song « Moral tem Hora” (Morals Has its Right time), recorded in 1981 by Cristina Camargo and later renamed as “Pecados De Amor” (Sins Of Love); and also the song « Labirinto” (Labyrinth), composed by him, Robson Jorge and Ronaldo Barcellos, and played with a wonderful groove by Famks band, which came to be Roupa Nova band (New Clothes), one of the most important band from the 70s to nowadays; Then I brought Painel de Controle (Control Panel), a famous band from Rio´s outskirts who released the « Relax » track in the 70s, with a fabulous performance by the Uruguayan Papito. Admiring the luxurious swing of Banda Black Rio, I also chose 3 songs: « Eu Quero Um Baby Seu” (I Want Your Baby), recorded in 1981 by a well-known singer, Solange, who brings to it a peculiar carioca swing; the track “Negra Flor” (Black Flower) on which Soul singer Sandra de Sá has doubled vocals with pianist Don P.I, and which carries a fabulous arrangement by BBR guitarist, Claudio Stevenson; and the third one, more dancefloor oriented, is « Escorpião” (Scorpio) by the legend Soul singer, Carlos Dafé. To complete this top secret combination, I picked the song « Ripa Na Xulipa » (no translation), which was the biggest Brazilian Disco-Funk hit of 1979 and the start of Rabo de Saia (Tail Skirt), a group formed by Sonia Montenegro, Lia Lemos and Monica Rossi, dancers of Carlos Imperial’ TV show. Next, I could not help recalling the song « Um Momento Qualquer” (Any Given Moment) released in 1979 by Claudia Telles’ famous voice. 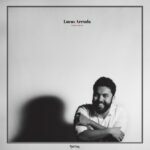 Finally for the last track of the album, I selected a song by Paulo « Fera » Ramos, famous to the sambistas of Rio de Janeiro for his originality and great swing. The song « Gosto Amargo de Vida” (Bitter Taste Of Life) comes filled with the “Afrobrazuca” contagious rhythm of his second LP, released in 1982.